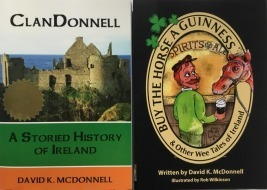 Renown storyteller David K. McDonnell is the author of two books - ClanDonnell: A Storied History of Ireland and Buy The Horse A Guinness (& Other Wee Tales of Ireland), and many other stories. Here is a snippet about each book. Please scroll through the tabs on the left, and the icons on the right, to learn more about David and his stories. ClanDonnell is the epic story of Ireland told in a unique way - through the lives of the people in Celtic Ireland's McDonnell clan and their descendants into the 20th century. Because the first McDonnells were mercenaries often called to service in all corners of Ireland, the clan's history is intertwined with the history of the entire island. 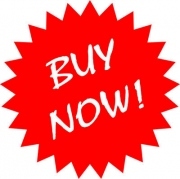 David McDonnell brings some of his favorite oral stories to the written page in Buy The Horse A Guinness. A critically acclaimed author and storyteller, David has told stories throughout the United States and Ireland – keeping alive the ancient Celtic tradition of the Irish storyteller (seanchaí in Irish) to the delight of audiences everywhere. Who would have thunk it - ClanDonnell the radio, television and video star! ClanDonnell has been universally acclaimed by book reviewers! ClanDonnell is the winner of three national book awards! Three different competitions, and awards in each! 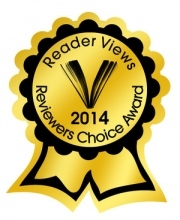 Buy The Horse A Guinness receives 5 stars from Reader Views! 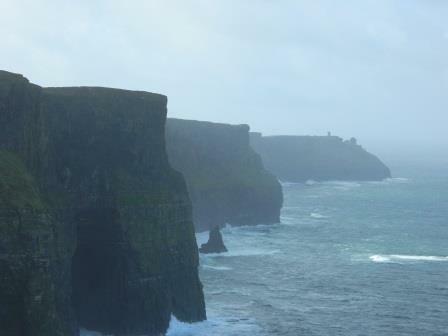 David McDonnell has been accepted as a member of “Storytellers of Ireland”, an organization of elite storytellers dedicated to preserving and enhancing the art of oral storytelling. David is the group’s only American member.